The players take the roles of "masters of the house", employ a lot of cute maids, and are served by them while slowly filling out their house (card deck). 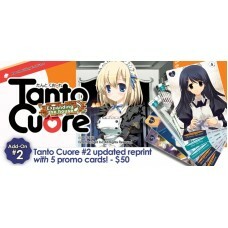 Tanto Cuore is a Japanese deck-building card game which has a mechanism similar to Dominion. 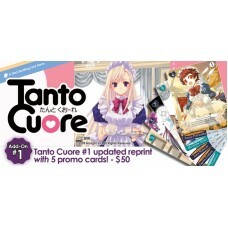 Each..
Tanto Cuore: Expanding the House, both a standalone game and the first expansion for Tanto Cuore, ..